A big tobacco company advocating FOR taxes. Incredible. Would love to see video of this, as well as AVA's Greg Conley's speech opposing it. 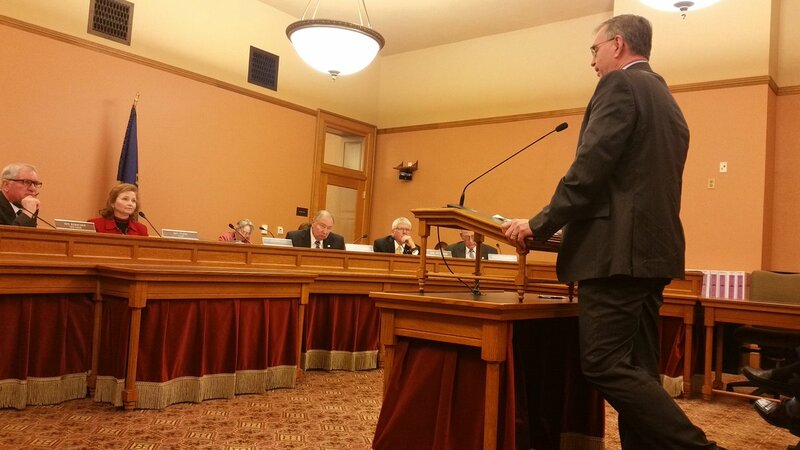 Steven Gentry of RJ Reynolds testified in favor of business-killing Kansas vapor tax. Last edited by PurpleVapes; 15-02-17 at 04:57 PM. Of course they are. If anyone is geared up to play the game of avoiding corporate tax and being buddies with the government it is tobacco companies. The fact they even exist in this day and age is testament to that. But its going to impact their cigalikes sales. Cigalikes are the best ecig types on the market, and sales are through the roof. Not a single cigalikes company has had to shutdown. Cigarettes have been taxed highly for years and that certainly hasn't affected them. They just see higher taxes as a barrier to entry for smaller players, a barrier they have already overcome. But that would suggest that the big tobacco companies are trying to have mods and tanks eliminated from the market so that their cigalikes and non-refillable cartos were the only option available. Surely this can't be. The big tobacco firms are our friends, no? Haha well there's no money in loose juice for em, and the only way to keep people coming back to their core product is to sell crap that doesn't work along side it. On the off chance it does work for some people, make sure you own the market. Win win. floorzone2 and PurpleVapes like this. Purple I am honestly curious about your personal crusade and curious about what would happen if your crusade were per chance to be successful? I am wondering how you would approach those who have never tried vaping and wont because cigalikes had been banned by people like you? Would you go after things like pod mods next? or 510 mods or egos which are also known not to be as effective or efficient but which people seem to like but also have lower sales? How about mech mods which carry a little risk for novices? and even if you didnt- what guarantee would you give that if your mission in life to get rid of cigalikes were successful that others wouldnt try and ban more and more of what is atm available to the community? So I I guess I am wondering where it would all end after you got what you wanted and what would you say about those who would not have tried vaping in the first place if not for the wide choices (both good and bad) available to vapers? Last edited by rebelagainstthemachine; 16-02-17 at 07:47 AM. gtadmin, CMB, Fatman and 1 others like this.